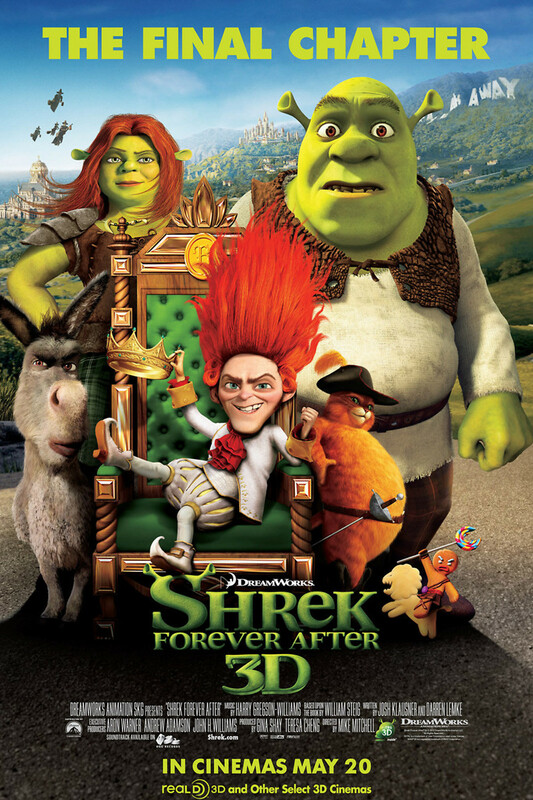 Shrek Forever After DVD and Blu-ray release date was set for December 7, 2010. Shrek, Princess Fiona and Donkey are together again. This time Shrek and Fiona are married with kids, and the stress of family life has gotten to Shrek. After a ogre-like outburst at his kids' first birthday party, Shrek walks away for some alone time. Not by coincidence, he encounters the bitter Rumpelstiltskin who cons Shrek into a deal. Shrek signs a contract to give up one day of his life from the past for just one more day to live like a "real" ogre. Shrek learned the day he gave up was the day he was born. With time running out he must convince ogress Fiona and Donkey to help him set things back the way they were.